Introducing the new Imabe Feeding System® – no need for pre-shredding! 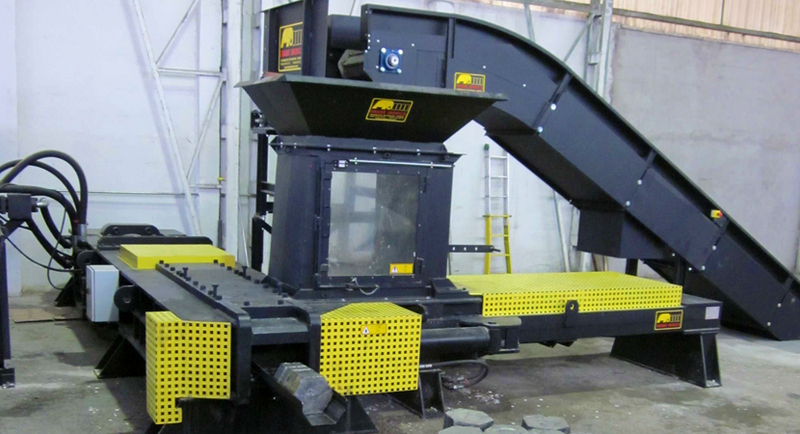 Decades of design, engineering and manufacturing have led Imabe to fabricate the new IMABE Briquetting Press. The press provides a novelty in the market; it is able to compact small particles of materials such as metal turnings and swarfs without previous material shredding. The briquetting press includes a new closed box press to compact materials and produce hexagonal briquettes from various recyclable materials such as: scrap metal (steel or aluminium swarfs, turnings or chips) destined for smelting and reuse, as well as organic waste (wood chips and shavings, almond hulls, etc.) to be used as biomass and alternative fuels.